You get to check your submissions before submitting to make sure everything is correct. 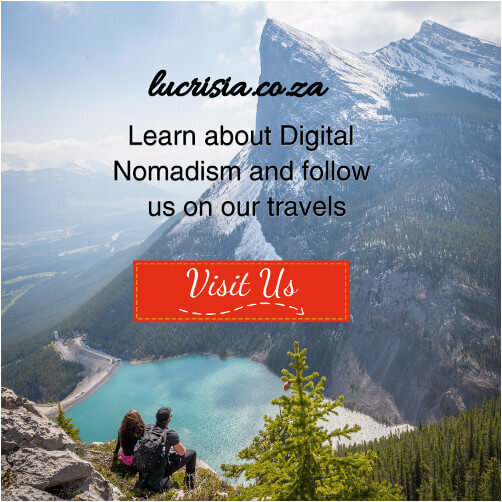 You don’t have to visit one of the SARS regional centres which is always busy! I cannot think of many cons to this service. So now that you know the benefits of registering for efiling SARS. Let’s jump right into the tutorial! Once you arrive at the website you should click on the REGISTER button in the top right corner of the page. Now click on For Individuals in the bottom left corner. Now you have to fill in the detailed form. If you have all your information with you this should take about 5 minutes to complete. Most of the questions are standard, but I will explain one of the confusing questions. Register for Provisional Tax – TaxTim explains what Provisional Tax is. 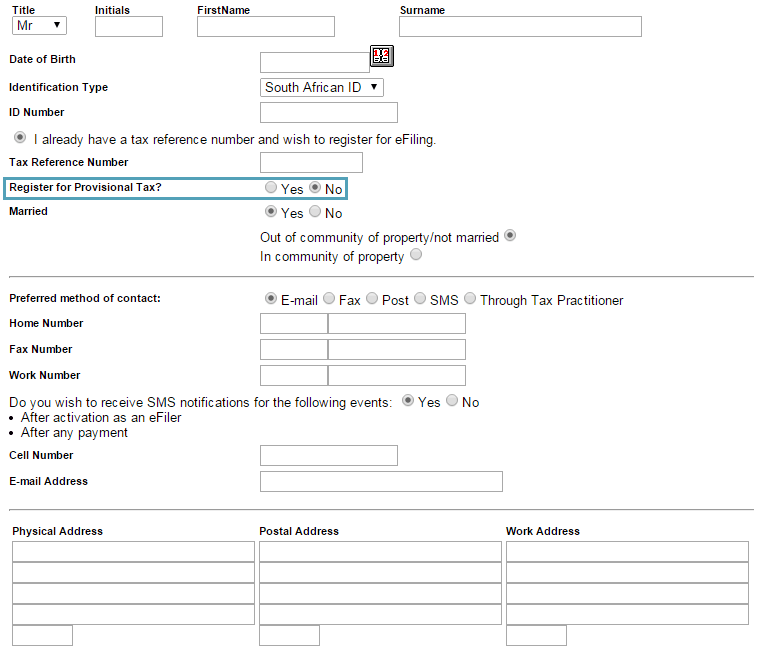 You can ignore the Tax Practitioner Number bit if you do not have a Tax Practitioner otherwise you can fill it in. Remember to keep your SARS eFiling login and password safe. 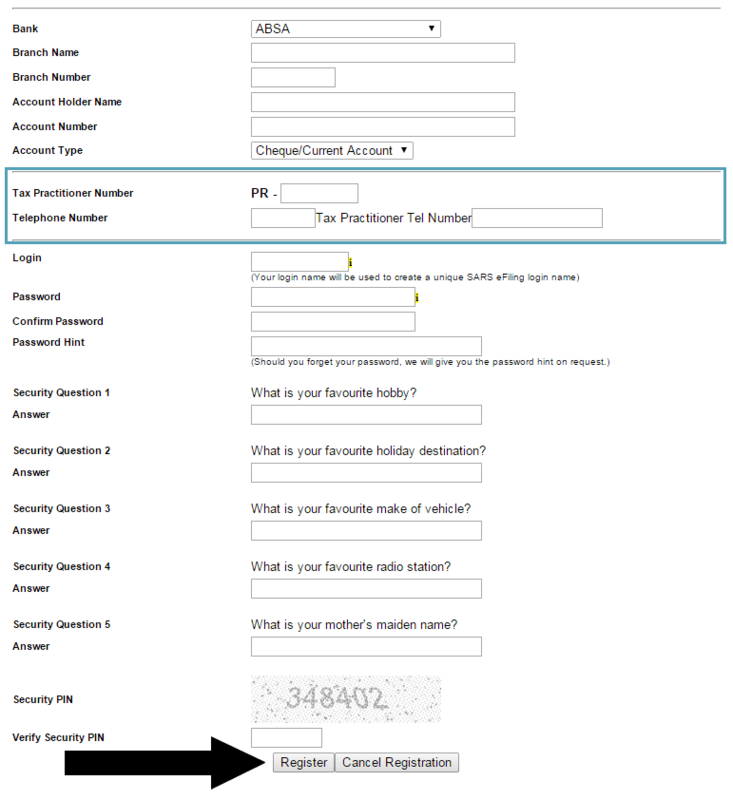 Once you have filled in everything you can click on Register. You will receive two emails, like the ones below, from SARS eFiling. They are supposed to send you your SARS eFiling login with 4 digits added as well. It seems like they never sent mine, but I registered in 2013 so I might have misplaced the email. Well done! You have successfully registered on SARS e Filing! Now you can login and submit your returns. P.S. 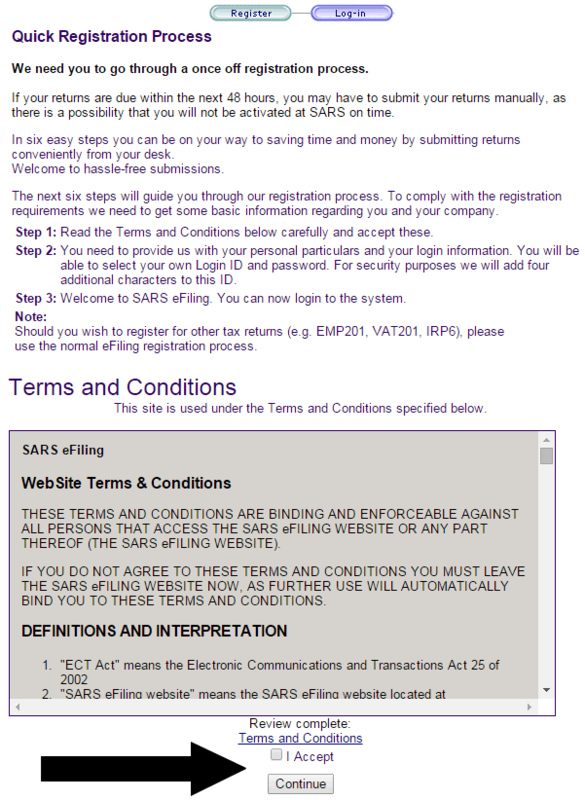 If SARS eFiling didn’t send you your SARS eFiling login you should call them on their toll free number 0800 00 7277. P.P.S. Check out Tax Tim for a great tutorial on how to submit your returns. Call SARS via 0800 00 7277 and explain your situation to them. Make sure you are typing in your email address correctly. If you are still struggling please call SARS via 0800 00 7277 for help. Hi Kurt. I keep getting an error that says what I’m entering is not what they have on file for me. Is there any way to know what they have (it’s likely extremely updated sinced ive moved and changed jobs a bit in the last 2-3 years) without having to visit a branch? How long does it take for registration to be activated so that I can do my e filing, because I’ve registrant yesterday and still not right to do my e filing. I’m not sure how long they take as I had to call them. I suggest you do the same to hurry them up. I have a problem in the completion of the application as far as the Login name and Password is concerned. I firstly used alphabetical and numerical caracters, but I then did as been asked to use only numerical caracters. I did so, but still it remind me to only use numerical caracters. I haver no problems with the rest of the application. Please advise met to do what is right and acceptable.